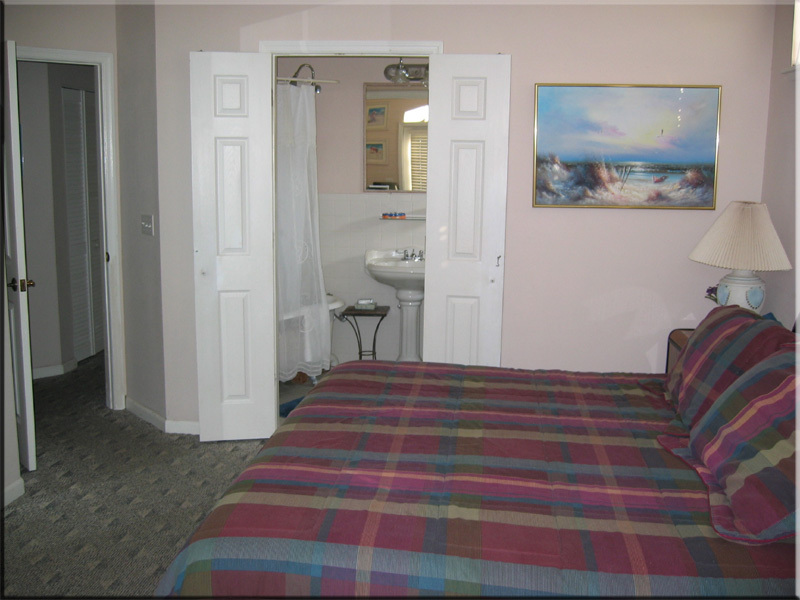 The master bedroom, shown in the upper right hand photo, has a comfortable king size bed and french doors that overlook the pool and the beach. 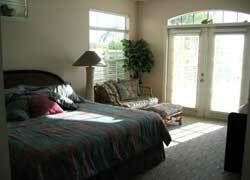 It has a sitting area w/TV/VCR/DVD, a large walk in closet and a private bath. 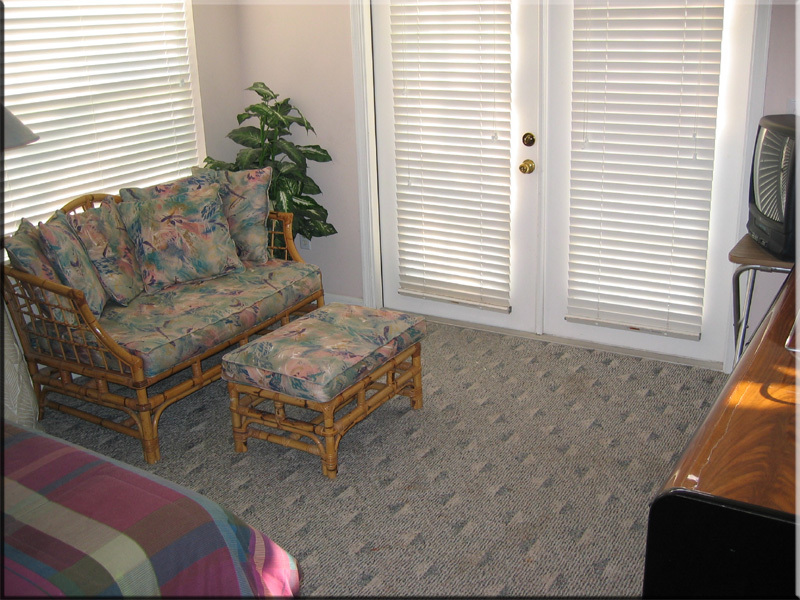 The large sitting area is a wonderful spot to relax away from the main house. It overlooks the pool deck and beach. Some guests use this area for a portable crib or overflow sleeping on the rollaway bed. 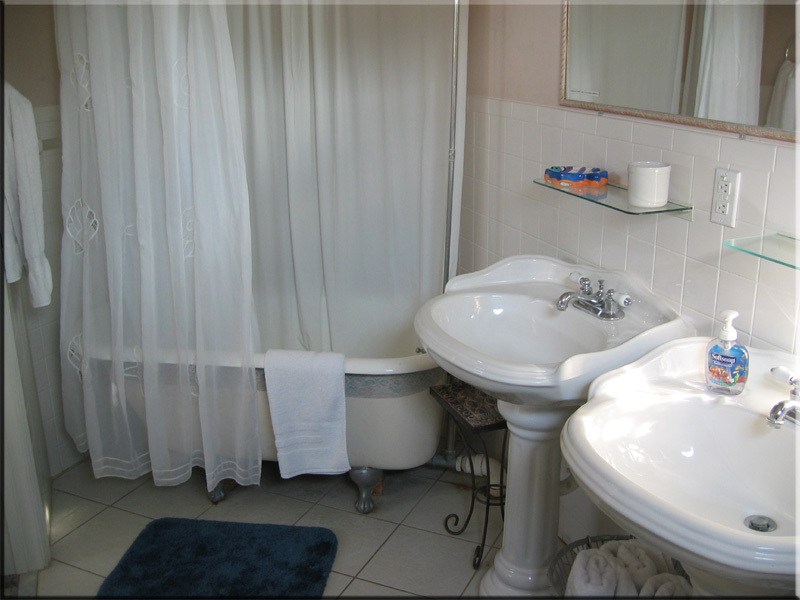 The private bathroom is furnished with a romantic vintage Claw-foot tub and double pedestal sinks. There is an outside door to allow direct access from the pool deck.